Do you have time to waste heading down another dead end? With our Search to Settlement service, buyer's agents will guide you every step of the way, from initial search to the completed settlement. With our independent and qualified advice, you can feel confident of securing the right property, in the right location, at the right price. What does the Search to Settlement service include? We listen to what you want and what’s important to you. 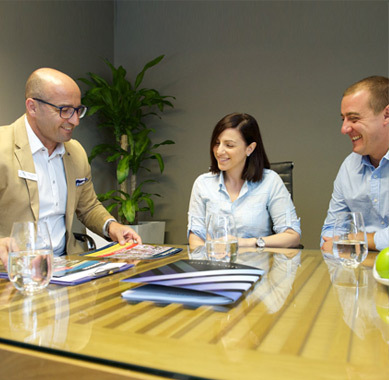 At your free initial appointment, buyer's agents will listen to your needs, help you refine your priorities and answer any questions you want to ask. We source properties that meet your needs (including ‘silent listings’ that aren’t advertised on the internet). We shortlist the best properties for you and give you expert advice on location, property features and types, and factors affecting price. We coordinate the services you need for settlement, like legal advice and building inspections. We conduct comprehensive analysis and provide a property report to assess estimated market value and expected rental returns for investments. We contact local councils and Owners Corps to assess any proposed building works or plans and covenants or levies that may affect the property’s value. We negotiate and/or bid at auction for you, so you get the right price and the best possible terms and conditions. You start living your property dream. An initial registration fee is payable to commence your property search. Upon successful purchase a professional fee is payable. With superior negotiation skills and in-depth market knowledge, our experts maximise your purchasing power and protect you from overpaying. By securing your property at a better purchase price, our Search to Settlement service makes perfect financial sense. Our experience and knowledge of the Melbourne market will put you ahead of the crowd. With access to off market properties we can find and secure you a great property – stress free!